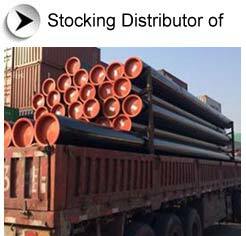 Aesteiron Steel Pipe have ready stock of JFE Line Pipe & can be supplied as UOE Pipe, High Frequency Welded (HFW) Pipe and Seamless Pipe (SMLS) varieties available in a wide size range,JFE Steel Corporation is a world leading steel making company in Japan. JFE Steel Corporation produces tubular products to the specifications listed below. Other specifications can be also supplied. JFE's Carbon Steel Pipe is High strength, High Toughness, Homogeneous material and Corrosion Resistant Line Pipes for various special service such as offshore and sour services. UOE line pipe can be supplied as high strength line pipe up to Grade X100, and high toughness line pipe for low-temperature services and corrosive gas or crude oil service. HFW line pipe can be supplied as high strength API grade line pipe up to 5L X80, and high grade line pipe for sour gas service and offshore service. Seamless line pipe can be supplied with corrosion resistant alloy pipe (weldable12% Cr Line Pipe) and high strength API grade line pipe up to 5L X80 for crude oil, gas, water and slurry service.